The world contains an abundance of amazing urban infrastructure, designs and construction. However there are some projects that go above and beyond, cementing themselves as landmarks and tourist attractions world-wide. Many bucket-lists are filled with the desire to visit these wonderful attractions before our demise. Although it was hard to pick just seven of these amazing beauties here are our picks for top 7 greatest urban projects of all time. Originally constructed as the entrance to the 1889 World Fair, there was no structure like it at the time. At 324 metres it is still the tallest structure in Paris, and it stands twice as tall as the Great Pyramid of Giza. The actual structure was an engineering feat at the time, the revolutionary curved design and iron lattice work took construction into the sky. 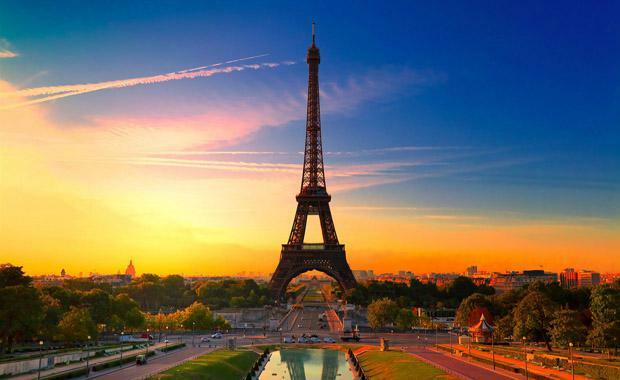 The tower is named after Gustave Eiffel, the man whose engineering firm designed the tower. He also designed the iron framework inside the Statue of Liberty. Finished in 1883, the bridge is an urban design marvel, as it was the first in the world to use steel cable suspension to hold up a roadway. The cables are almost 16 inches in diameter and are woven from 5,434 individual wires. The result was a far more sturdy bridge than the iron structures being built at the time. The chief builder John Roebling, died during the construction due to a crushed foot that become infected. His son, Washington then took over, however Washingtin himself suffered a debilitating case of the bends while working under the East River. He used a spyglass to supervise construction from a bedroom overlooking the project in Brooklyn Heights. His wife Emily would convey orders to the construction crew, becoming what's believed to be the first female field engineer. Opened in 1863, London's subway was the first underground public transport system. Early trains were steam powered, by 1890 electric locomotives were running on the tracks. It was the first electric underground railway, and reduced pollution in the tubes. During WWII, the stations served as makeshift bomb shelters. Today, the system carries over a billion passengers a year on over 400 kilometres of track - 52 per cent of which is underground. The Romans using specialised tools to measure distance and angles, to build at least 11 aqueducts in Rome. The Romans sourced fresh water from rivers, lakes and springs, from as far as almost 100 kilometres away. The aqueducts were engineered out of extra-hard concrete made with volcanic ash and the use of the arch were techniques the Romans perfected in building their water infrastructure. Laws were written to deal with water disputes, these laws have formed the basis of the modern legal water code. The Romans were so good at bringing in water that there was enough for each citizen to consume 757 litres a day. Originally a chain of 70 or so marshy islands in a shallow lagoon, Venice's early inhabitants built on the few pieces of solid ground. As the population grew, new arrivals had to create their own solid foundations. By about 1,000 AD, they were driving solid oak logs, less than five metres or so long with a pointy end, into the soft mud and then building on top. The little islands expanded with more and more structures until they all joined up. It is estimated that 80 per cent of the city now rests on these logs, which are protected from rot by the saltwater, becoming petrified and nearly as hard as stone. The tunnel running under the English Channel is one of only a few international tunnels and provides a direct rail link between London and Paris. The tunnel itself is three tubes, two for trains and one for service vehicles. It's 50 kilometres long, with an average depth of 50 metres below the seabed, at the lowest 75 metres. Though it opened in 1994, the idea was a long time coming. It was discussed by in 1802, who proposed a tunnel with a mid-channel island "to breathe the horses." Construction took six years beginning in 1988 and was completed by 1994. It cost 80 percent more than expected with the final cost the equivalent to AU$22 million today. After three significant fires, since the tunnel operated, automatic fire dousing systems have been installed. It takes 35 minutes to travel the length of the tunnel. Shanghai is the fastest growing city in the world with 10 per cent population growth a year for the last 20 years. Between 1990 and 2004, more than 6,700 buildings 11 stories or taller were erected, most of this done by state-controlled construction companies. Shanghai is home the China’s tallest skyscraper and the world’s second tallest.